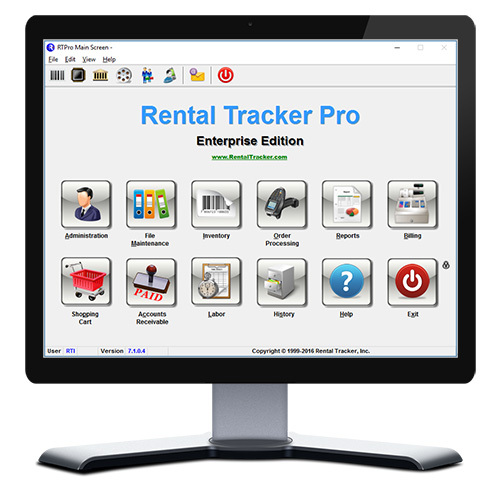 Rental Track Pro (RTPro) offers a solution to organize, simplify, and gain control over your inventory and operations. The software is ideal for the Costume, Property, Set Lighting, Audio Video, Camera shops. Creating software for the Rental Entertainment market is what we do, and we do it the best. With 20+ years of experience specifically in the Rental Entertainment industry we have worked with large and small clients and value all customer input. Our success has been due to our client references. Our reputation for providing effective, powerful, reliable software along with great customer support has made us the leader in the industry. We take pride in providing a solution which has made our customers successful in gaining control over their inventory, operations while boosting their profits. Although all our clients have a majority of the same processes, RTPro is flexible and allows tailoring the software for your specific needs. The software is easy to use and hassle free. 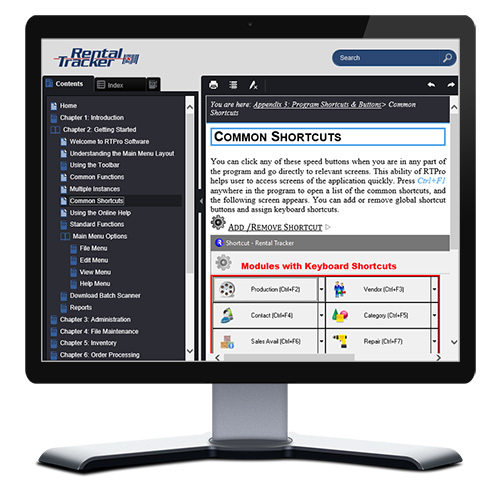 RTPro offers many features which can be turned on or off and modified depending on your business needs. Examples would be Print Total Cleaning Cost on Check out sheets, Warn if insurance has expired. In this area user security access is maintained. Security can be controlled at module level, function level and some field levels. Also within Administration is tailoring the software for your specific needs. Area for maintaining tables. A few of the tables are, Rental Category, Color, Pattern, Material, Gender, Circa, Condition of item, Sales Stock table, Vendor, Payment Types, General Ledger, Tax Types, Production Types. Area for maintaining all Rental Barcoded, Non-barcoded and Sales inventory. Setting up Equipment codes, Sales Stock codes, Updating Master Price List, and performing Physical Inventory is handled in this module. Handles Quoting, Ordering Rental and Sales, Checking in and Checking Out items, Checking in and Checking out Sub-rental items, printing customer reports(Quote, Rental/Sales Contract, Pull List, Return List, Cost Sheets, Check-in & Remaining Items list). Generates Invoices for all types of charges, Rentals, Sub-rentals, Sales, Restocking, Cleaning, Loss, Damages, Sales Returns, Labor, Space, and Miscellaneous. This module allows a quote of items to be created. This module can be setup as a Kiosk allowing a customer to enter in barcodes and see the image of the barcode and the pricing. The users can then printout the quote and images of the items. The shopping cart module can also interface with the RTPro Website which allows the client to shop online and submit shopping cart request. Allows entering payments against invoices, running customer statements and aging reports. If the Accounts Receivables module is not needed and your business already has an accounting package, RTPro has interfaced with many accounting packages. A few interfaced with are Quickbooks, PeachTree, Mas90, SAP, and Peoplesoft. 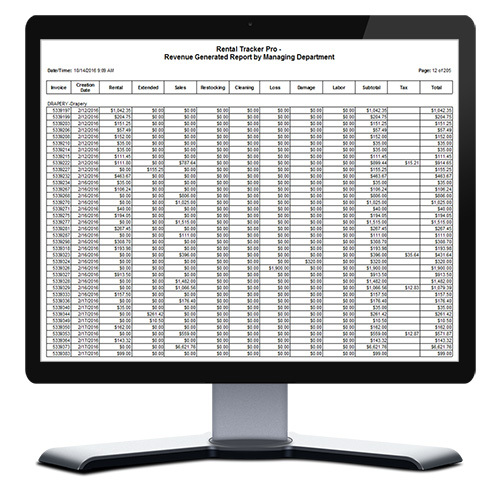 RTPro offers hundreds of variations of reports. Operations Reports, Management Reports and Statistical Reports. All reports in RTPro can be previewed to screen, sent to a list(Excel), saved as a PDF or Word format and emailed. This module is used to track time for manufacturing, altering items. The time is tracked against an employee and can be billable or non-billable. Time is attached to a labor ticket which describes the work performed. RTPro allows billing the time back to a customer. Supports both Barcoded and Non-Barcoded items. Barcoded items are items which have a unique barcode label attached to the item. This is the best way to track an item. The barcode distinguishes the item from other items and it is easy to track all the history of the individual item. Information such as the status of the item, In-stock, Out on order or In Repair. The number of times the item has been in repair and the revenue that has been generated against the item. Non-barcoded items are items which would not benefit or physically cannot have a barcode label such as glass (globes), some cable, paper items or expendable types of items. Supports Batch, Cordless and RF Scanners. The batch process allows taking the scanner and scanning barcodes for check-outs or check-ins and then later downloading the data to the RTPro system. This comes in handy if the checkout/in process is done away from your warehouse. Cordless scanners are a scanner which operates within 50 feet from a workstation. This is perfect for when your shop has a staging area for checking out and in items. The RF (Radio Frequency) scanners are a smart scanner which operates like a portable PC. The scanner can travel through the warehouse or to any place which has access to your wireless network. Flexible Billing Schedule so you can customize billing the way you want it. Setup a billing schedule for the type of customer, at the customer level, order level or according to the shooting schedule, including the hiatus time. Fast and Easy to navigate Order Entry Screen allows you to put an order together fast. Using a picklist of assets method to add to an order. Checkout Screen with options to checkout barcode, non-barcoded, miscellaneous items. Multiple workstations can checkout to the same order, thus getting your big orders out quickly. Checking in items is easy. Items can be checked in across a production, across multiple orders or across the entire system. When checking in items the items can be checked in a normal, as a loss, as damaged, as an exchange, swap or transfer. Sales Module which allow managing Sales Stock, availability, shipping, returning, drop shipping, setting up of restocking percentages. Hundreds of combinations of reports. Checkout/contract – List of the orders items which are typically given to the customer who is picking up the assets. This report can print with a footer of terms and signature lines. There are many options available, such as if pricing should print, sort by department, and print large images. Check-in Sheet – Various options such as a complete check-in sheet listing all items returned, partial check-in sheet for a time period, remaining items which have not been returned. 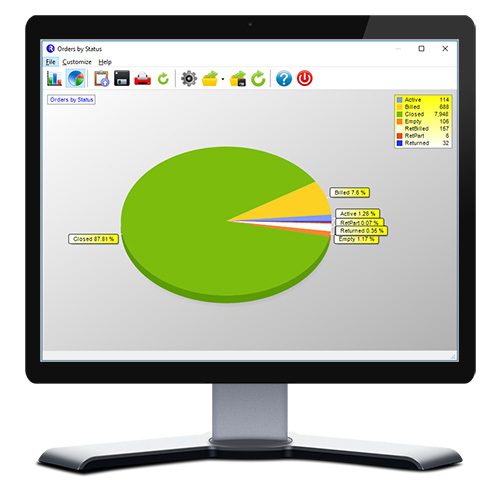 Preview Reports on the Screen, Print them to Printer, Save to various formats such as pdf, email any report from RTPro. Ability to customize grid listing and send to excel. Comprehensive on-line help and training documentation. History Module – Allow the customers, orders and invoices that are not in use to be moved to history. Security – Enable or Disable individual users from accessing different sections of the program. Customizable Viewing and Printing of information. Labor/Space Schedule, A/R and other modules available. Client/Server technology using Microsoft SQL Server 2014, 2016 and 2017. Windows 8, Windows 10, Windows 2008 Server, and Windows 2012 R2 & 2016 Server support. 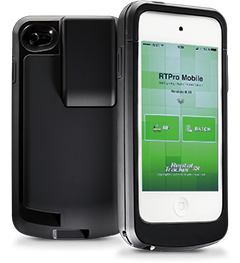 RTPro can run on Mac and iOS devices via Remote Desktop app. Handle all your scanning needs with an iTouch or iPhone in your hand. It's now available as an extension to RTPro.